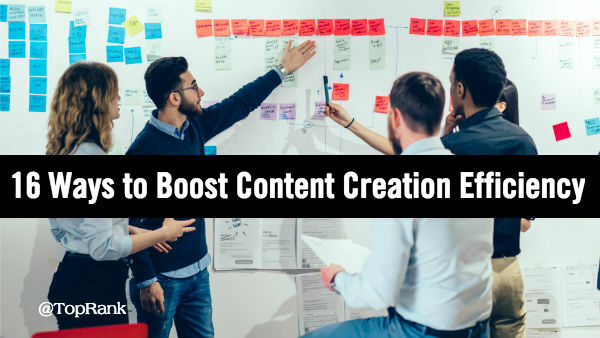 The digital marketing industry is like no other, and one of the great joys of publishing a top marketing blog is the opportunity to shine a light on top talent. People who are doing great work, inspiring others to do great work and making a difference in marketing. Working in this industry over the past 20 years has provided numerous opportunities for me to connect with, learn from and be inspired by incredibly talented marketers. Many of them women. 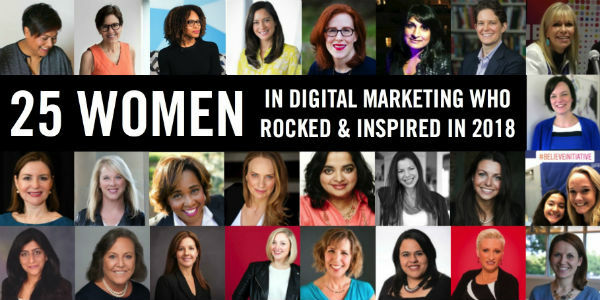 And so, for the ninth year in a row, TopRank Marketing is publishing it’s annual influential women in digital marketing list. There’s some irony to the fact that it’s due to data and information overload that consumers face on a daily basis (63gb of media per day in the US according to USC/ICT) that data has become even more important for marketers. 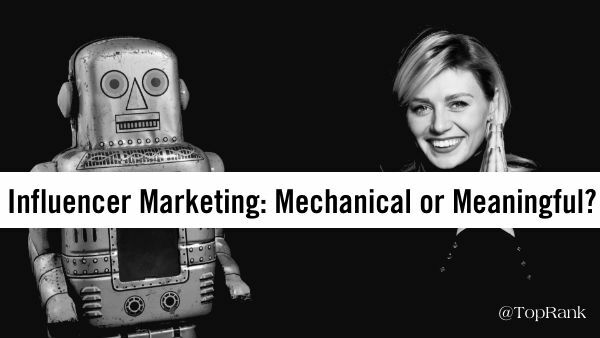 Successful marketing today isn’t just about creating useful content that informs buyers, it must be even easier to find in all the right places and deliver both utility and experience. 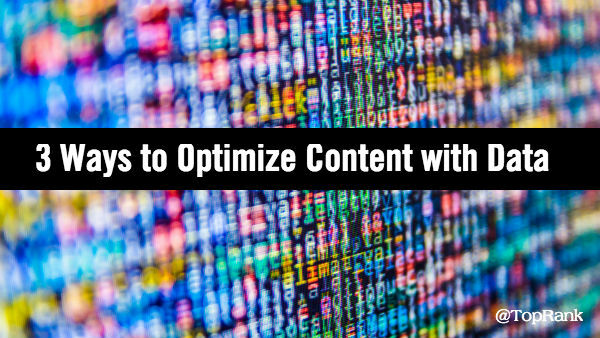 Without data insights about customer preferences, it’s very difficult to deliver on that. For those in the know and that go beyond clickbait headlines, Search Marketing delivers an incredible punch to a marketing mix. But it takes work, especially when you consider the hundreds of factors that go into ranking decisions for every one of the billion plus queries that Google tries to answer each month. Part of that work is staying on top of search engine optimization and advertising best practices. For that, several members of the TopRank Marketing team recently attended the Pubcon Pro conference in Las Vegas. 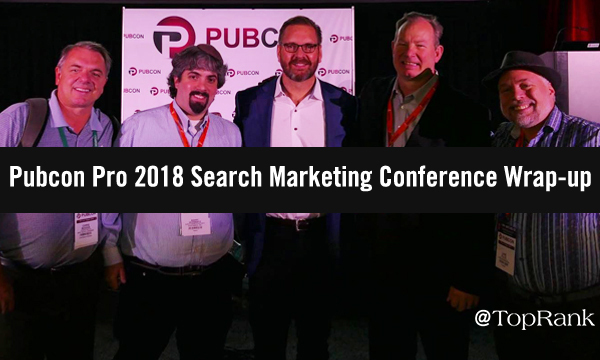 After essentially getting my start in public speaking as a marketer at Pubcon many years ago, I have returned to the search marketing industry with my third speaking appearance in a row at a Pubcon event in the past 12 months. 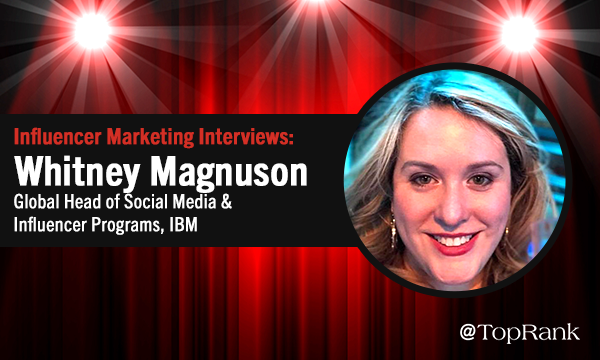 One of the great things about social media is connecting with other professionals and Angela Lipscomb and I have been connected on multiple networks for several years. I appreciate her relationship focus towards PR and influencer relations because so much of what is being done in the name of influencer marketing is transactional. As I like to say, it’s the meaningful not the mechanical connections you make that contribute to success. As the Influencer Relations Manager for SAS (business analytics software and services), Angela developed their first influencer program back when her role was in corporate communications. 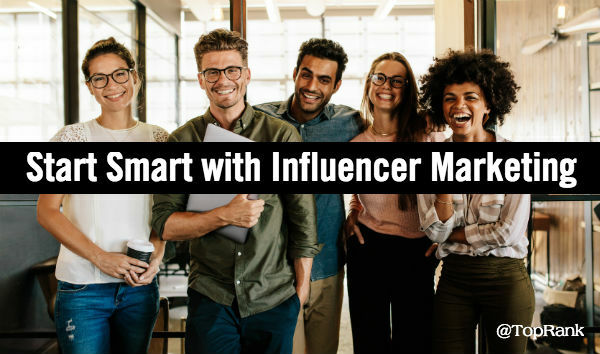 Her work there and on to media relations were ideal prep for her current influencer relations role to identify, engage and manage influencer relationships.